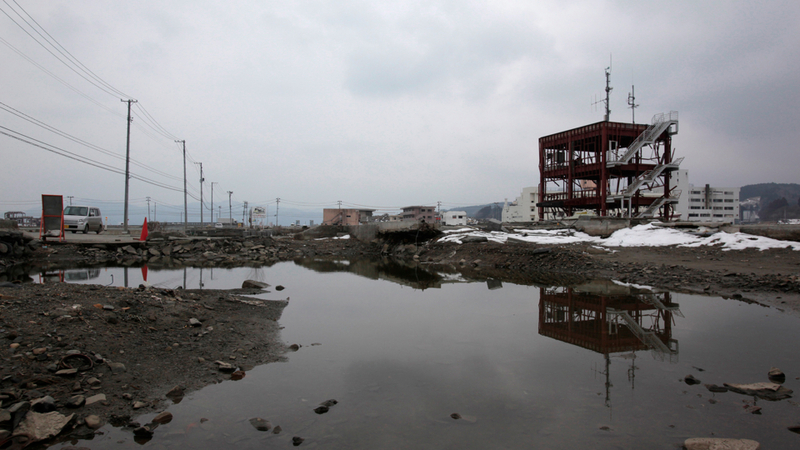 March 11th this year will mark the one-year anniversary of the 2011 Tohoku Earthquake. Since that time, a great deal of time effort and money has been offered for the rebuilding of the North-Eastern area of Japan from all parts of the world. Including the gaming world. Arc System Works In March 2011, it sold a total of 1762 charity T-shirts. Proceeds along with a donation totaling ¥8,819,000 ($110,000) were donated to the Japanese Red Cross. Image Epoch It released "Charity Download" versions of two their latest releases. For each game downloaded, ¥500 ($4) was donated to support efforts. A total of ¥1,392,500 ($17,400) was donated. Electronic Arts By April 2011, with cooperation from Grasshopper Manufacture, it donated over $1 million to the victims of the earthquake and tsunami. Kadokawa Games It donated ¥50,000,000 ($625,000) to the Japanese Red Cross in March 2011, and held collections for charity in the individual companies in the Kadokawa Group. Capcom The Osaka-based game maker donated ¥100,000,000 ($1.2 million) as well as ¥41,001,462 ($512,500) via the iPhone Street Fighter IV donation program and ¥2,228,000 ($27,850) in charity T-shirt sales. It has set up "Monster Hunter" collections at various amusement facilities for victims. Gung-ho Online Entertainment It sold charity items in 3 of their online games, including Ragnarock Online. The proceeds of ¥4,089,700 ($51,000) were donated via the Japanese Red Cross. In addition to charity sales, a company donation of ¥10,000,000 ($125,000) was made. Grasshopper Manufacture It donated all sales from their iOS app, Frog Minutes, as well as a company donation, all totaling ¥3,071,545 ($38,394). The studio also held an internet auction for a replica of the "No More Heroes Beam Katana" the proceeds of which went to charity. Gree After the quake, it called on users to make donations and collected a total of ¥188,063,500 ($2,350,793). Also made a company donation of ¥100,000,000 ($1,250,000) to the Japanese Red Cross. Cave The studio developed a "charity set" of game goods sold for 2000 yen in April, 2011. All sales were donated to charity. All sales up to June, 2011 of their Xbox Live arcade game NIN2-JUMP were donated to charity. Koei Tecmo Games It donated ¥10,000,000 ($125,000) from Koei Tecmo Holdings, as well as a total of ¥12,615,542 ($157,694) donated from staff and employees, and ¥637,834 ($7972) donated from users. It also donated ¥5,393,626 ($67,420) made from the sale of charity items on 4 of their online games. Code Masters It donated an unannounced sum to the Japanese Red Cross in March, 2011. Konami It made a company donation of ¥100,000,000 ($1,250,000) to the Central Community Chest of Japan as well as ¥27,241,476 ($340,518) collected from employees to the Japanese Red Cross. Konami developed and sold original charity goods and donated the proceeds of ¥13,362,981 ($167,037). Cyber Connect Two It donated an unannounced sum as well as ¥284,076 ($3550) collected from a charity event to the Japanese Red Cross. Square Enix It made a company donation of ¥100,000,000 ($1,250,000) and gathered donations from employees around the globe. Square Enix also sold charity items for their online and social network games for a donation to the Japanese Red Cross of ¥1,236,356 ($15,454). Sega It made a company donation of ¥200,000,000 ($2,500,000) and gathered ¥2,770,000 ($34,625) in donations from employees. Engaged in volunteer relief activities from June to December, 2011. Sega donated part of its sales (¥2,985,400 ($37,317)) and the sales of charity items for online titles (¥2,782,868 (US$)34,785) to the Japanese Red Cross. Sega also invited 300 evacuees to Tokyo Joy Police amusement park. Sony Computer Entertainment Japan It made a company donation of ¥300,000,000 ($3,750,000) and 30,000 radios to the victims of the disaster. Sony donated the sales of PlayStation 3 custom themes from March to September, 2011 (¥25,835,200 ($322,940)) to the Central Community Chest of Japan. Takara Tomy It made a company donation of ¥100,000,000 ($1,250,000). D.N.A. It made a company donation of ¥100,000,000 ($1,250,000) and collected ¥193,127,418 ($2,414,092) in donations from users of their social network site to the Japanese Red Cross. Nipponichi Software Developed DLC for the game Disgaea 4 and donated all sales. Microsoft Japan It made a donation of $2,000,000 and gathered donations from employees. Provided free Xbox 360s and Kinects for children living in shelters. Nintendo It made a company donation of ¥300,000,000 ($3,750,000). Bandai Namco Games It made a company donation of ¥100,000,000 ($1,250,000). It also gathered donations from employees and continues to make periodic donations to the Japanese Red Cross. Donations between March and September, 2011 totalled ¥46,008,638 ($575,107). 5pb. It dropped the price of their iPhone/iPod touch game, Memories Off 6 T-wave, developed a charity goods set and donated all sales. The Pokemon Company It developed and sell charity goods at seven major "Pokemon Center" shops across Japan. All sales are donated to charity. Marvelous Entertainment (Now Marvelous AQL) It set up a donations box in their online browser game and donated all proceeds to charity. Level 5 It made a company donation of ¥10,000,000 ($125,000) and donate all sales of online charity items. NCSOFT, a Korean company donated 500 million yen for the relief. It's good to see it's just not Japanese gaming companies standing up and helping.